Twitpic - ideas above its station? Twitpic, the popular photo sharing service used to post photos to Twitter, has updated its terms of service in order to sell photos on to third parties. The changes come following a lengthy if somewhat understated debate over news outlets reproducing photos tweeted using the service. 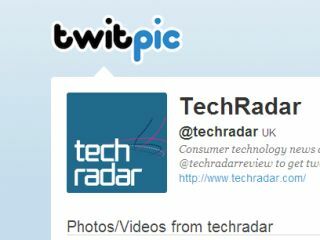 By uploading a photo to Twitpic the user retains copyright of the image, but also now agrees to license it to the company; which means that Twitpic can sell your photo on to magazines, papers and photo agencies. To this end, Twitpic signed a deal with news agency WENN, which will distribute photos on to other media, particularly those posted by celebrities. Chief executive of WENN, Lloyd Beiny, said, "The belief by some that any photo posted on Twitter is available at no cost is completely wrong but now as result of this new arrangement, anyone wishing to publish celebrity photos posted on Twitter via TwitPic will be able to do so legitimately via WENN." "This has been done to protect your content from organisations who have in the past taken content without permission. As recently as last month, a Twitpic user uploaded newsworthy images of an incident on a plane, and many commercial entities took the image from Twitpic and used it without the user's permission." So you see, it's all for us Twitpic users. Never mind the fact that Twitpic plans to make money from your images, the real reason behind the new terms is to protect you. Gee, thanks Twitpic.